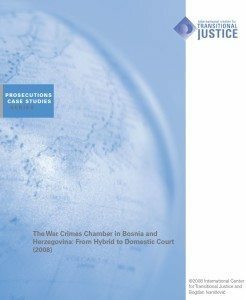 The publication by the OSCE Mission to Bosnia and Herzegovina presents an analysis of the criminal proceedings before the Bosnian State court between 2005 and 2013. The publication, which is titled ‘Fighting Against Impunity for Sexual Violence in Armed Conflict in Bosnia and Herzegovina: Progress and Challenges’, highlights the problems, which must be overcome to prosecute perpatrators of these crimes. 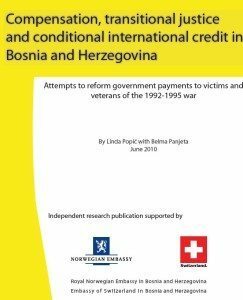 Compensation, transitional justice and conditional international credit in Bosnia and Herzegovina: Attempts to reform government payments to victims and veterans of the 1992-1995 war. 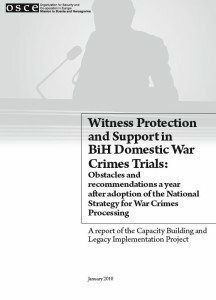 An OSCE report on Witness Protection and Support in War-Crimes Cases says, among other things, that Bosnia and Herzegovina has neither improved the position of victims and witnesses nor has it won their confidence in criminal proceedings and war-crimes cases. 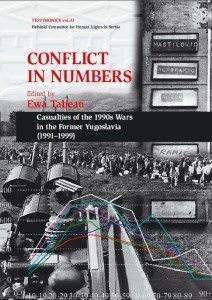 The Helsinki Committee for Human Rights from Serbia has published a book entitled “War in Numbers: Demographic Loss in the Wars Conducted on the Territory of former Yugoslavia from 1991 to 1999”, written by Ewa Tabeau. 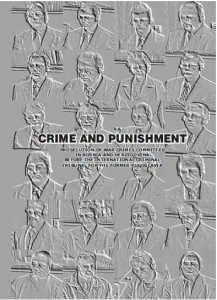 ‘Whose Justice? 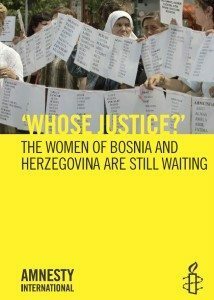 Bosnia and Herzegovina’s Women Still Waiting’ is the latest report by Amnesty Internationaldealing with problems facing victims of wartime sexual abuse 14 years after the end of the war. 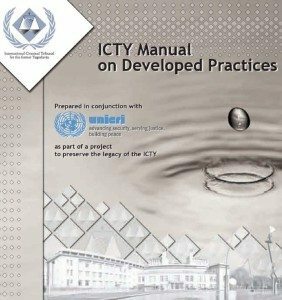 The United Nations International Crimes and Research Institute, UNICRI, has published a manual of the Hague Tribunal’s best practice with the aim of preserving the Tribunal’s legacy. 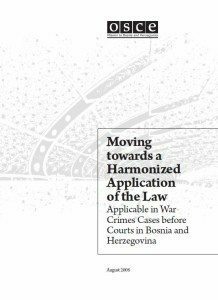 The OSCE mission in Bosnia and Herzegovina has issued a publication in which it deals with the non-existence uniform application of the Criminal Code in war crimes proceedings and gives recommendations for future cases. ICTJ hails Bosnia court as role model elsewhere, while lamenting lack of solid relationship with the general public and media. A new UNDP report concludes that the current capacities of local courts and prosecutor’s offices are insufficient for processing of a significant number of war crimes cases. 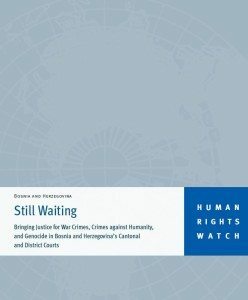 International rights group Human Rights Watch has urged authorities in Bosnia and Herzegovina to reform entity courts and laws so to speed up war crimes investigations. 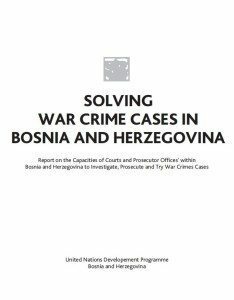 Almost 10 years after the International Criminal Tribunal for the former Yugoslavia (ICTY) pronounced its first verdict for war crimes committed in Bosnia and Herzegovina, a complete overview of its work has been made available to the public.